NEW IN STOCK. £4275 WORTH OF OPTIONS. 'THUNDER GREY- METALLIC'. HPI CLEAR. ONLY two registered keepers from new; same lady owner since 2017. 2 Keys. Serviced at: 16956 miles and 25023 miles. Highly desirable options when ordered new include: CHILI Pack, Media Pack XL (Satellite Navigation), Metallic Paint - Thunder Grey, Black Checkered, Cloth/leather Diamond Carbon Black, Colour Line - Carbon Black, MINI Connected, MINI Connected XL and Roof and mirror caps in black. 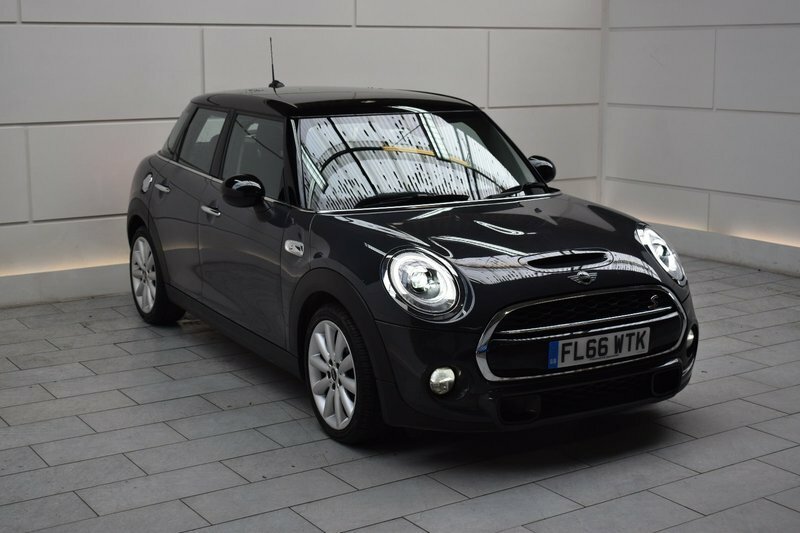 Vehicle list price new, inclusive of additional options: £24075. ONLY £30 ROAD TAX. AA Approved Dealer. 12 month AA Breakdown Assistance included. Finance available. Part Exchange Welcome. Visit our website: www.rdmdirect.co.uk to view our latest diversified stock listings.